As someone who has taught horsemanship and Equine Facilitated Learning in numerous countries for a long time, I do get a uniquely international perspective on programs involving horses that are offered in other parts of the world. In 2010, I taught in six different countries. I find that some names people use to label their programs have little to do with what they are actually teaching, whether the presenter is aware of this or not. In some situations I have experienced, it would seem that marketing has become even more important than content. Advertising and marketing are a science within themselves actually. The goal and agenda of making money through attracting as many customers as possible is huge and valid. This is certainly justifiable and understandable. Offering cheap programs, discounts, free gifts, free food, etc. certainly can help attract customers and participants to a particular event. For me, honestly, I feel this is reasonable and a right of the individual to do. Everyone has the right to make a living. I think the problem comes into play when the advertising and labeling of the product or services (program) offered do not match up with the content or quality of the presentation or the presenter, or the value of the product. For example, the term “natural horsemanship,” as used to describe a vast number of horse training programs, trainers and products worldwide, is problematic for me. What I have personally seen offered under the banner of natural horsemanship, are techniques, philosophies, methods, products and services involving horses that are in no way even remotely natural. While I don’t like calling myself a natural horsemanship trainer, it is on my website due to how others seek to categorize me. Calling me a compassionate, effective, gentle horse trainer, although accurate, seems a bit cumbersome for promotional purposes. I have gone so far as to call some of my programs “Unnatural Horsemanship” and “Beyond Natural Horsemanship,” simply to get away from the enormously misunderstood bandwagon of natural horsemanship. 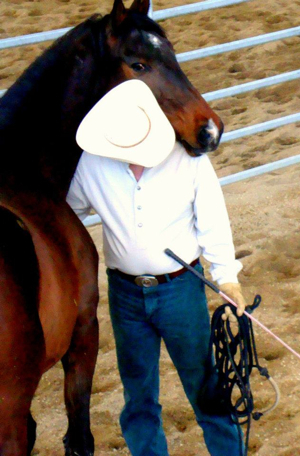 What I have experienced many times is someone who has attended a seminar or two or viewed natural horsemanship training DVDs, and then begins to advertise themselves as a natural horsemanship trainer. Other terms that have often been used to market equine training programs and equine products are: holistic, harmonious/harmony, unity, dancing or dances with horses and the like. I have used some of them myself. It is not easy to keep coming up with names and labels that are attractive to prospective costumers and that still reflect actual content, ingredients and reflect the reality of what will be provided through the program or service. The actual quality of the services, information and products provided by these products and programs vary widely. So, what is a potential seminar participant, horse owner or equine enthusiast to do to get the best value for their money and acquire the best knowledge and products for their horses? The answer is not an easy one. Simply because a service or product is cheap does not mean it is worthwhile or has the sort of value or quality it should. Unfortunately, many people go for what is cheap. Often they get just what they pay for; limited knowledge, limited experience and rather poor quality. When something is cheap, it can tend to cater to the lowest common denominator of participant or customer. Many folks want a quick, cheap fix, so to speak. However, an argument can be made for allowing something to be inexpensive enough to reach many people, which can have at least, some benefit for many who could not afford it otherwise. Unfortunately, when it comes to horses, equine products and training services, one tends to receive what one pays for. Trainers need to make a living too, and being a professional horse trainer is not like having an office, construction or government job. There is no retirement or pension plan for horse trainers. Often it is a physically risky occupation as well. On the other hand, being very expensive doesn’t guarantee a product or service will be of the highest quality either. I have encountered trainers who, because they have won some competitions, have attained some or a lot of notoriety, charge a lot of money for their services as teachers and trainers. Their teaching abilities can be sorely lacking and their training methods may not be of the highest standards. I have known horse owners who have given their horse over to a big name trainer, only to have the horse come back to them a bundle of nerves, anxious, and, in some cases, dangerous. Not all award-wining riders are great trainers or teachers either, nor would they necessarily know that much about the horses they ride. However, many can be wonderful for sure. So, what can a person do who is looking to attend a seminar, buy a product or invest their hard-earned money into some sort of service or product for their horse? The answer can be rather simple actually. It is called thoughtful research and investigation into that person, service or product. Certainly if a particular trainer provides a potential customer with references, they are not going to provide a contact who would speak negatively about them. I would seek to find out where that trainer has been working or training and make random inquiries as to the quality and effectiveness of that individual. Comments from past participants in a trainer’s programs can be very helpful. The hosts of their venues may be able to offer insight. Although a venue owner or manager may be reluctant to say something negative about a particular trainer they hosted, as they may think it reflects back on their club or venue. But doing some thoughtful investigation and making a few random inquiries can go a long way in insuring you receive good value for your money. A trainer or product that has been around for a very long time, and is still offering the service or product shows a potential that their services are viable and valuable. Longevity has its place and is often to be of great value. At my age (68) I am generally the oldest person at the center or club where I am working. When I began my professional life with horses (when I was 17 years old), no one had heard of natural horsemanship, as it did not actually exist as a concept. There were a few (Dorrance brothers, Ray Hunt) who lived it. Additionally, I have been teaching horsemanship most all of my professional years. Being an effective and efficient teacher is actually a separate skill within itself. Like horsemanship, becoming a good and effective teacher of human beings takes time, practice, good intuition, very good communication skills, a love of teaching, and a host of other attributes. Some of these are basically the same as it takes to become good with horses as well. I think truth in advertising is not always present in marketing today. Again, harking back to natural horsemanship, there is little to nothing that is natural about the goods or services mostly offered under that title. It is a catchy and attractive marketing term and has made lot of money for some people. Additionally, simply because someone has a big name and has attained mass popularity, it doesn’t necessarily mean that they are the right trainer for you. Keep in mind that the more popular something or someone is, the greater the possibility that the actual quality of their service has reached a lower common denominator. Mass marketing tends to lower quality and service. Being cheap, or more kindly, inexpensive, does tend to make the appeal broader. However, remember the old saying: “You get what you pay for.” I think many would agree there is truth in that statement. This is not intended to dissuade anyone away from hiring a trainer or attending a seminar that is inexpensive or one that is pricey. Its purpose is to not scare anyone away from anything or make him or her so wary of a product or service that they simply give up without trying it. 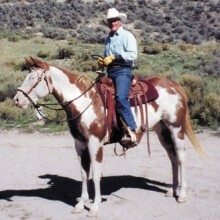 However, if my comments inspire someone to seriously investigate their options, look around at what is available, don’t just go for the least expensive or the most expensive, and be diligent and wise about the choices they make, I have no doubt that person will receive more quality and much more of what they really desire for themselves and their horses.